An endless circle of cubic zirconia conveys a sense of no beginning or end a symbol of your eternal love. White round CZs are channel-set in a .925 sterling silver mounting with high shine Rhodium plated. 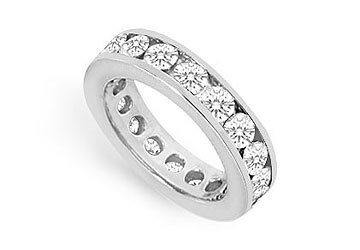 This eternity band has a total weight (TGW) of 3.00 carat.